If you're using SoundCloud to host your podcast episodes, you may find that nothing happens when you click on the Download button in the Smart Podcast Player or Smart Track Player. This is usually because SoundCloud tracks are not downloadable unless you explicitly make them so. 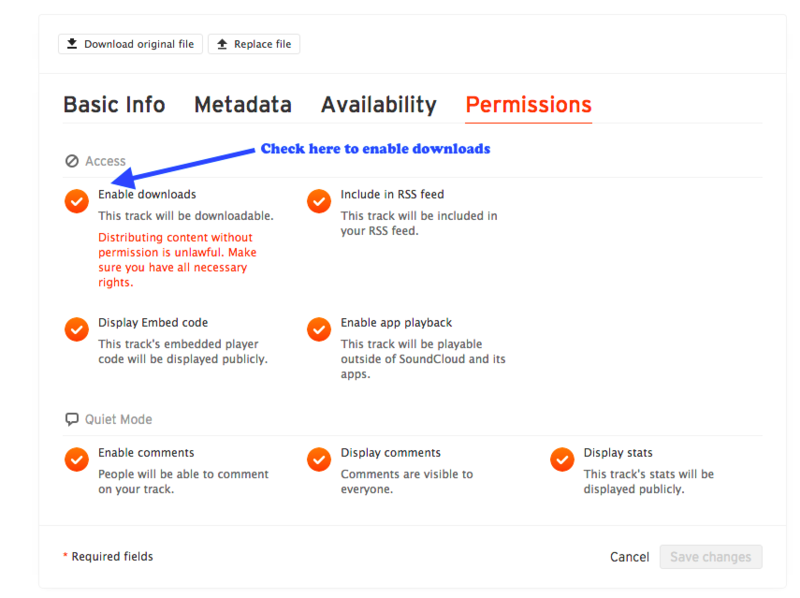 To make your tracks downloadable, you'll need to visit your SoundCloud account page and adjust the download settings on your tracks. This article contains full instructions for doing so. Go to Settings -> Smart Podcast Player and click on the Advanced tab. Then reload your podcast page. This will ensure that the latest, downloadable versions of your SoundCloud tracks are loaded by the Smart Podcast Player. If you're still having trouble downloading your SoundCloud tracks after that, try adjusting the Smart Podcast Player's advanced settings.